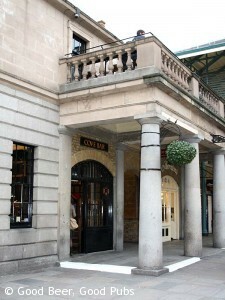 A good answer would be the Cove Bar in Covent Garden. It’s a pub that has been a favourite of mine for many years but still seems to be a bit of a secret. 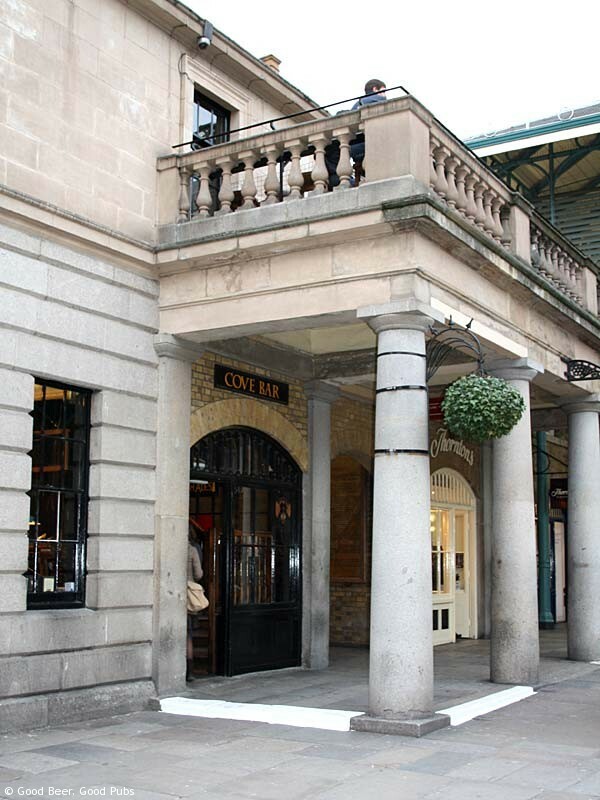 To find the Cove you should head for the north west corner of the Covent Garden piazza and look for the West Cornwall Pasty shop. Behind this shop there is a small staircase – head upstairs and you’ve arrived at the bar – decked up to look like it’s a boat. Do you remember when other pubs used to do that – or am I just showing my age? 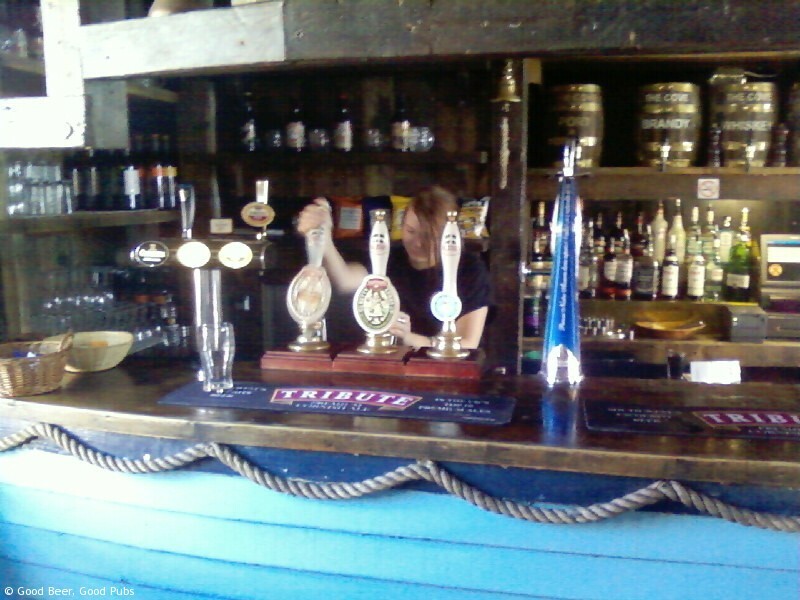 The quality of the beer is usually goodand the Cornish Knocker (my favourite) was excellent – a hoppy, floral beer. It can’t be denied that the Cove is expensive – most beers are £3.80 a pint, but I guess that’s because of its location. The interior of the pub is very wood and brick with two small rooms as well as the area in front of the bar. There is also the balcony which is a great place to watch the acts performing on the piazza – but don’t be surprised to be asked to contribute to the acts’ pot after they’ve finished. Food is available too – most people seem to order off the pasty menu from downstairs, and they bring it up to you.